If you are looking to free yourself from the hassles of queuing up every month at cash collection centres to pay bills there are solutions at hand. Online portals are offering easy digital payment facilities. These can help you pay your bills from the convenience of your home and at the mere click of a button. Read more to find about the services on offer. 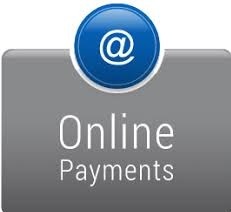 Online payment portals are allowing clients the opportunity of avoiding hassles of manual bill payments. Away from the tiring heat of long queues, these online portals are providing clients the facility to pay their bills as and when they like. All of these services can be availed from the comfort of their homes. Web-portals offer payment facility for all kinds of telecommunication and other digital services’ payments. Along with the payments made for other services as the DTH recharges, DATA CARD Recharges, and Post-Paid recharges, one can make Reliance Electricity Bill Payments and Maharashtra State Electricity Board (or MSEB) bill payments online. One is allowed to make payment through Credit Card, Debit Card, or Internet Banking. Payment of any amount is viable, and can be made via different payment options, provided one pays it before due date. Payment services are provided via Web, WAP, IVR, SMS, Mobile Application and Facebook Page. The payment options available on these websites include those of the Credit Card, Debit Card, and Internet Banking, Prepaid Cash Cards. All these options are open as long as payments are made three days in advance from the date due on the bill. A relevant point to note is that payments for bills that are overdue, i.e. payments for the bills whose due date has passed, are not received by online bill payment portals. The procedure of payment running presently on most standard online payment platforms is particularly user friendly and quite simplistic. Once after the user has logged on the website that offers payment services, they have to select their respective service provider from the list of multiple service providers available on the webpage. The payment interface will appear next on the screen where the customer has to enter his/ her account number or consumer number. Further options need the customers to enter their Reliance Bill Cycle Number, [in case of Reliance customers], or the Billing Unit and Processing Cycle [for MSEB clients]. After the portal returns to the consumer the specifics of their account status whereby the payable amount shows up, the exact billing amount has to be selected and the PAY option has to be activated. Once the online transaction gets authenticated, the Credit Card, Debit Card or the Internet Bank account of the customer gets debited accordingly. Instantly, the interface generates a receipt for the customer. This is the auto generated individual Transaction Reference Number. This customer specific number is generated by the transaction interface as an automatic acknowledgement of the receipt of full payment. This also serves as future reference in regards to any sort of dispute over the payment procedure. As such, the payments that are made online are claimed to be totally secure, and reliable. One important point to make note of is that online portals only allow payment in full. Partial payments are not valid. Another exiting point about online bill payment is that some of these websites award bonus loyalty points to their customers for each bill payment made via their website. These loyalty points, sufficiently accumulated, can amount to quite handsome rebates on the bills themselves. This ends up reducing the actual billing amount in favor of the customer.